Read about how the Fraternity has continued to fulfill our goals through an enhanced member development experience, efforts to further drive recruitment and retention, chapter and member accountability, and alumni engagement in the 2017-18 fiscal year. 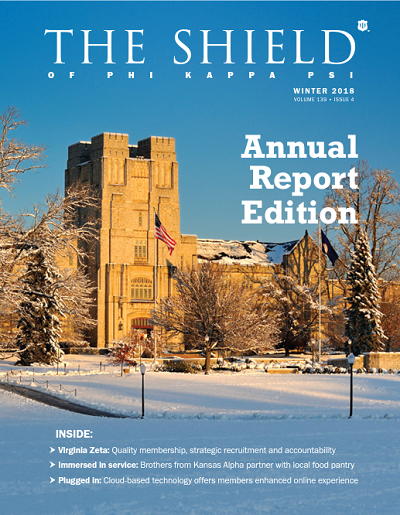 If you would like to receive this online version of The Shield sent to your email address, subscribe here now. The online version boasts improved accessibility, videos, links to additional content and more. You will also receive exclusive online Phi Psi News updates in these emails. Brothers dress to impress for the fall rush of 1987. When I initially took over as Chapter Historian at West Virginia Alpha, I felt completely overwhelmed. I was tasked with learning and teaching the history of a chapter that dates back to 1890 as well as telling the story that we write every day. After we recently relinquished our charter, there was a three-year gap where the chapter’s history seemed to have been lost. However, there is a new, innovative way to record your chapter’s history. Fortunately, former Chapter Historian Steve McBride (West Virginia’86) contacted me with a visual storytelling platform he created that ensured the proud tradition of West Virginia Alpha was never lost. The platform called onechronicle.com made my job as historian both simpler and more efficient. 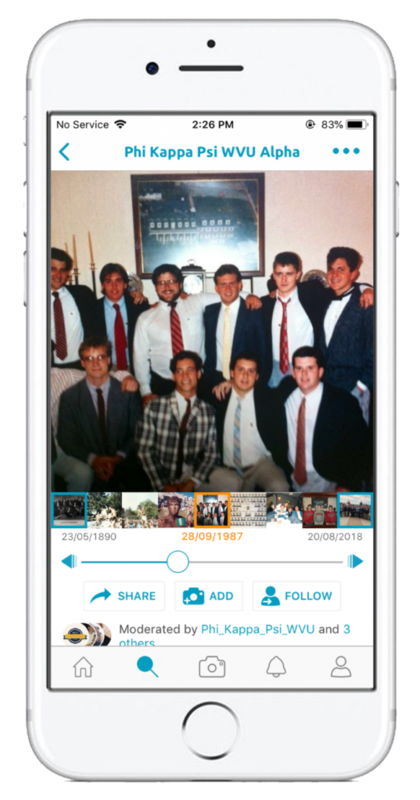 It allows actives and alumni to collaboratively post photos with captions that when put together, tell our chapter’s unique history in a simple, intuitive timeline structure. The second annual Professional Development took place the last weekend of October, where 113 undergraduate Phi Psis came to Dallas, Texas to participate in a truly once in a lifetime program. The inaugural PDC program that took place in 2017 earned Phi Kappa Psi a Laurel Wreath Award for its excellence, and more importantly helped 108 out of 123 attendees secure job offers or internships. The undergraduates were split up and paired with twenty-two volunteer coaches, who led small group sessions and worked with them on a personal level to assist in preparing them for the next chapter of their life: establishing and flourishing in a career. The coaches responsible for lighting a fire under the students’ bellies were no ordinary volunteers, they are Phi Psi alumni who boast insanely successful careers in about every field imaginable. 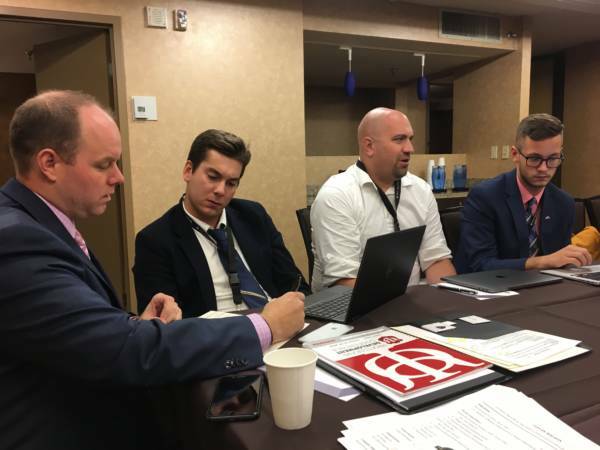 Small groups were organized strategically by Associate Director of Member Development and planner of the 2018 PDC, James McLendon, so that students could network and work with others of like-minded interests. Toward the end of his sophomore year, Nate Sands (Indiana ’17) was approached by the Indiana University Student Life office about an opportunity to lead the new Phi Psi Colony. 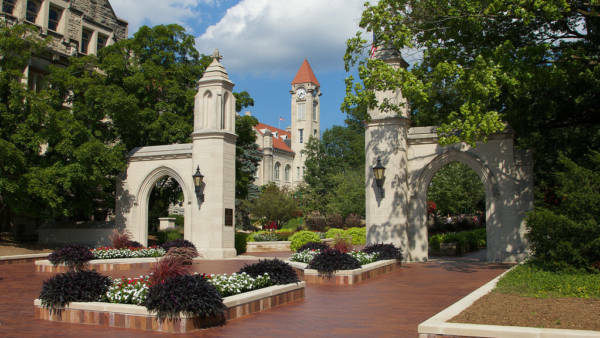 Indiana Beta has a rich history on campus, but has been on hiatus since the chapter was closed in 2015. Returning in August 2017 for his junior year, Sands made it a priority to bring Phi Kappa Psi back to Indiana University and restore it to its former glory. Using his connections to Student Life leaders and his peers at the IU Kelly School of Business, Sands was able to recruit 69 members throughout the course of the 2017-18 academic year. This strong comeback was a direct result of successful recruitment, philanthropic and academic excellence, and involvement in campus-wide traditions, namely the Indiana University Dance Marathon (IUDM) and the Little 500 Race, both events where the Colony has been heavily involved. On Veterans’ Day, we remember the perils of WW1 that led to the commemoration of heroes. Thomas Woodrow Wilson (Virginia 1979, Johns Hopskins 1883) was a distinguished leader his entire life. He served as chapter President for two different chapters, and as an official delegate to the 1880 Grand Arch Council, amongst his more well-known professional, academic and political achievements. 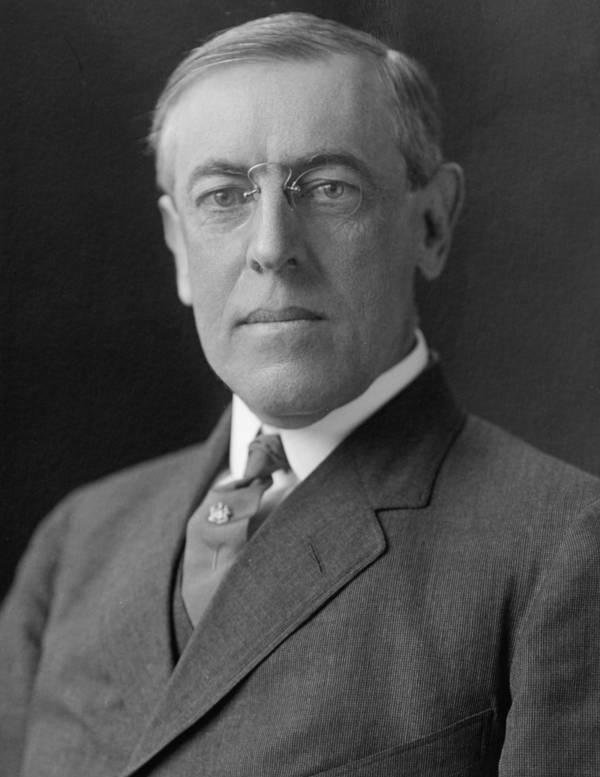 Wilson, in his second term of Presidency during World War I, always sought to bring peace and unity to the deep divide of nations. And for this peace Wilson had a clear plan; his ideas for the negotiation of peace were outlined in his famous speech, Fourteen Points. Included in this proposal was the formation of the League of Nations, a precursor to the United Nations. While the League of Nations and many of the Fourteen Points were never ratified by Congress, President Wilson’s efforts contributed to the end of WW1 with the signing of the Armistice Agreement on November 11, 1918. We commemorate this date each year out of respect and gratitude for our veterans.